Another busy but fun week traveling and photographing while traveling. Last week I was in Orlando, Florida and had time to capture some fun shots. 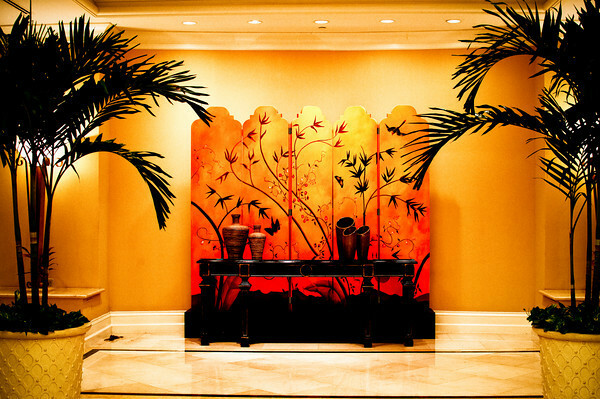 The first image is from the lobby of the Omni Resort in Orlando, Florida. Typically, when I arrive to a venue I grab my camera and start to walk around looking for unique items that I believe would make great backdrops or interesting stand alone images. 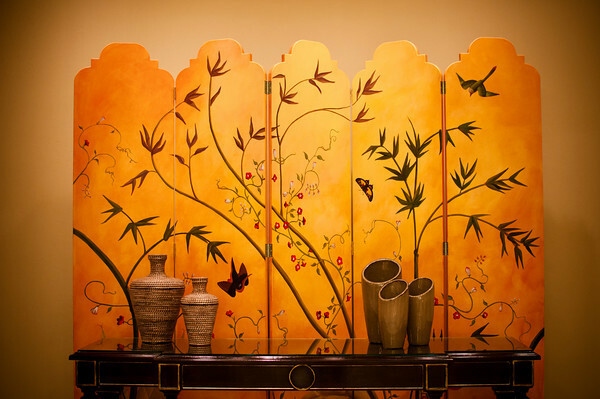 Immediately when I saw this section of the hotel, I knew I wanted to grab shots of this beautiful art and design. Not only would this make a beautiful backdrop for portraits but it would make an amazing two page spread background for the wedding album. Although I new I wanted to capture these shots, I didn't shoot these images until very early the next morning. When I was walking around, the hotel was very crowded (near lunch time) and I didn't want to interrupt the other hotel guests or interfere with the lunch crowd. I have a habit of waking up very early and walking around looking for unique images and these types of shots are easier to capture early in the AM. Both images were shot on a monopod (I wasn't carrying my tripod) to avoid camera shake since I shot multiple images to create an HDR image. I modified the white balance on each image to create a different look and feel. The final image is a close up of this amazing art work but is not an HDR image. I used the monopod to steady the shot. 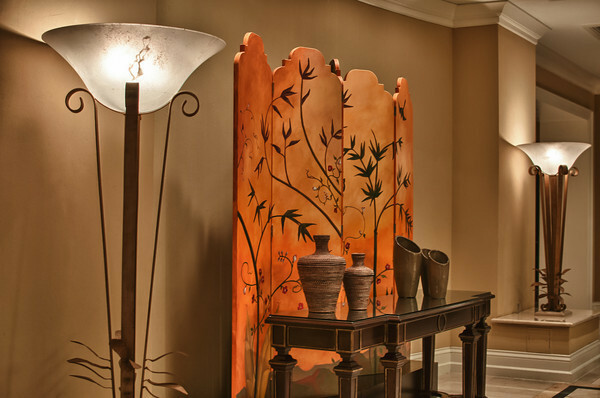 Although these images are in the lobby of the beautiful Omni Resort in Orlando, Florida. Many hotels have beautiful lobbies and other areas that make amazing portrait backgrounds. Take the time to walk around the lobby of the venue and look for unique angles or combine a unique angle with amazing lights and create your own scene. One final note about lighting. This art work is amazing by itself. However, its beauty is enhance by creative lights that were above and to the sides of the art. I am positive that without the creative lighting, this art piece would not have made such an impact on me. There is no doubt in my mind that many folks will walk by this beautiful artwork but will never notice it. As a photographer, it is critical to notice detail, lighting, and more important, possibilities. Be creative, have fun, and enjoy the beauty of life!